The around the clock festivities celebrate the inner light, in particular the knowing of which outshines all darkness. Great food was served all night long and attendees were encouraged to bring a donation for Winnipeg Harvest to help the local food bank. Mayor Sam Katz even took part in the fun, while Premier Greg Selinger offered an address via video screen. CBC’s Marcy Markusa was the emcee for the evening. 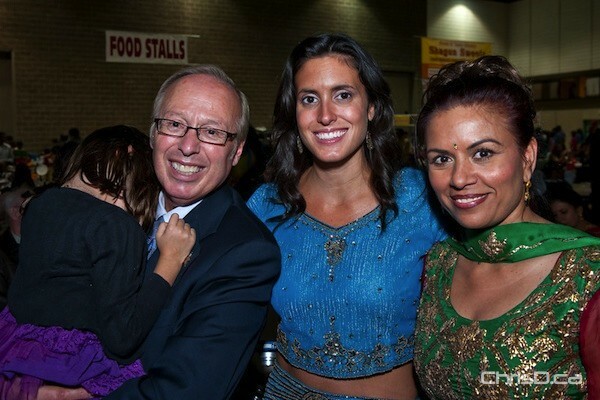 The event was put on by the Hindu Society of Manitoba as a way of showcasing their culture and exquisite cuisine.